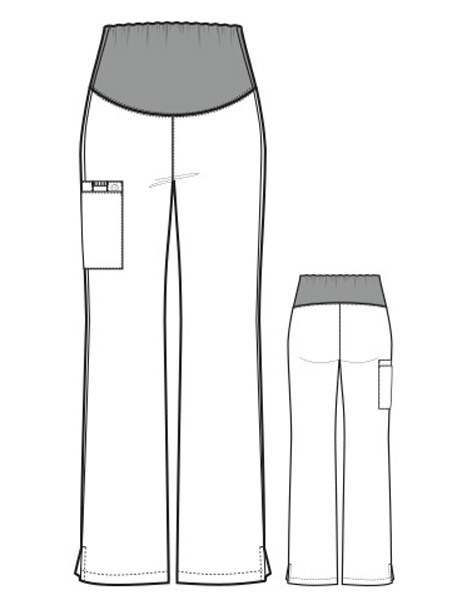 Flare leg styling, utility loop, vented bottom hem. One large cargo pocket, one pen pocket, and one cell pocket. Dyed-to-match silky knit waist panel. Inseam Regular: 31", Petite: 28", Tall: 33"